David Downton’s fashion illustrations are undeniably glamorous and remind me of another iconic fashion illustrator’s work, namely that of René Gruau. The two illustrators have numerous things in common and one of these are their work for several of the same big fashion magazines and famous designers. 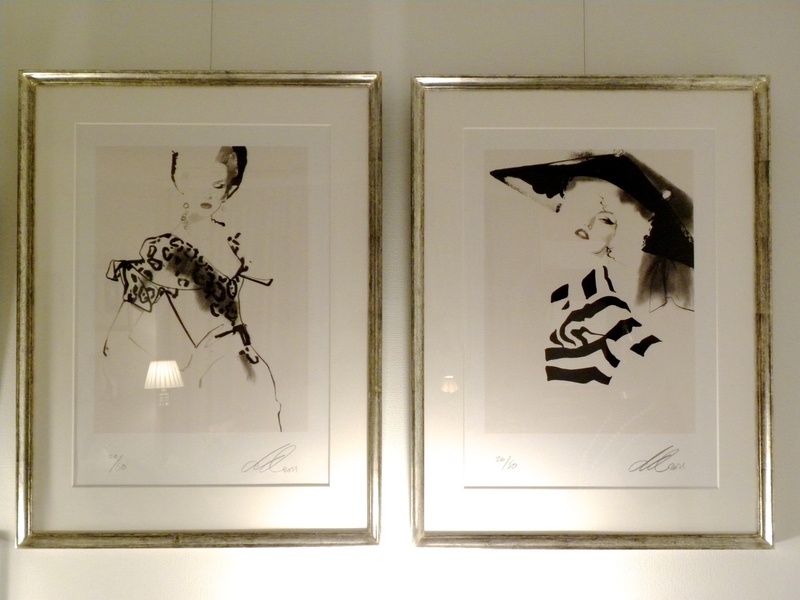 I’m such a fan of David Downton’s work to the point of having three stunning limited-edition fashion prints by him decorating my wall in Tokyo. These are two of my three fashion prints and show Dior Couture A/W 2009 collections made under the reign of John Galliano whereas my third is an elegant Versace from 2008, all purchased in London. I can’t help but gloat that they make an absolutely stunning trio and especially after having been framed at a great expense with hand-made champagne wood frames in Tokyo. Another bonus is that they compliment my home milieu to perfection. So when I saw the cover of Kensington & Chelsea Magazine while browsing the isles of WHSmith I couldn’t help but feel team spirit and subsequently went on to pick up my own edition of the magazine for entertainment. This way I can also coordinate my two homes and have a bit of Downton in my London home as well, a total win-win if you ask me. 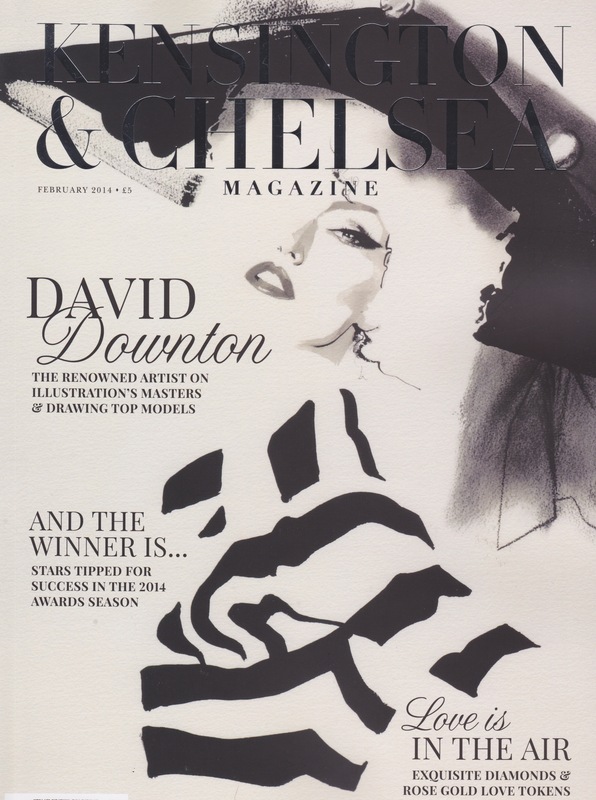 This entry was posted in Art, Fashion, Interior Decorating, Luxury and tagged Art, David Downton, David Downton Prints, Fashion, Fashion Illustration, Illustration, Interior Decorating, Luxury, Prints by linneabylinneanilsson. Bookmark the permalink. Stunning illustrations. Vincent van Gogh spent much time deciding what was the best coloured frame for his works. He was quite specific about some — disliking gold because of its effect on the yellows he used in his works. Frames can enhance or detract. Yours have an understated elegance that works well with the prints. I can understand the reservations towards gold. I rarely use it but prefer a champagne hue if it is for myself. I have the frames hand made for me by my framer in Tokyo. As for when I´m curating, the works often come framed but that´s a whole different story.